Viscount Weymouth, Ceawlin Thynn, patron of the International Koala Centre for Excellence, was joined by representatives of the South Australia Government and Cleland Wildlife Park, where the koalas came from, to formally unveil the new area. Opening to the public on Friday (29th March), Koala Creek is home to a group of southern koalas and features a running stream, climbing poles, naturally-themed indoor and outdoor habitats, viewing areas, interpretation boards as well as a Koala Care unit. The new feature is also home to a pair of southern hairy-nosed wombats and group of potoroos, a type of miniature kangaroo-like marsupial. Longleat is the only place in England where people can see koalas, one of only two locations in the UK, and the only one in the whole of Europe to be looking after southern koalas. Wildlife expert and TV presenter Nick Baker, who visited South Australia last year, will also be attending the launch event. 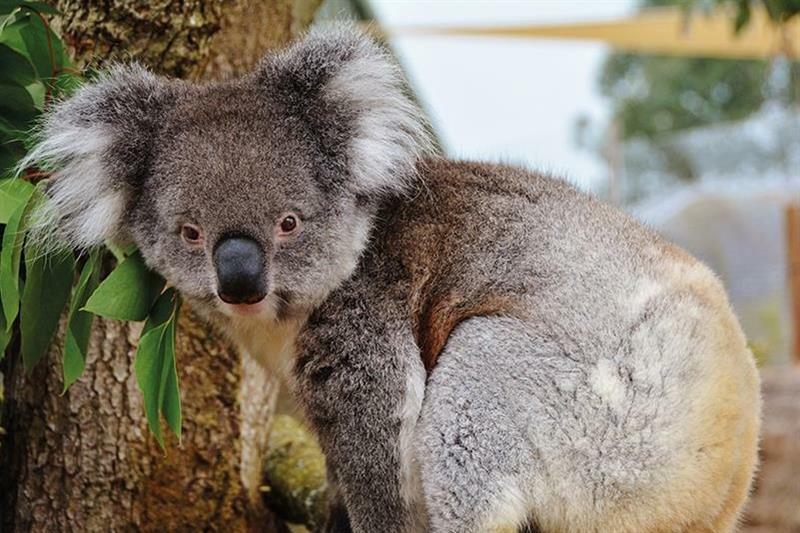 The International Koala Centre of Excellence (IKCE) and Koala Creek are part of a ground-breaking joint initiative with the Government of South Australia and Cleland Wildlife Park to support research and raise funds for koala management and conservation. They are particularly passionate about this project as it enables valuable research into conservation that will help protect the koala population in South Australia as a preventative measure against becoming endangered. Longleat will also act as the European hub for IKCE whose headquarters will be at Cleland. In 2012 the koala was listed as 'vulnerable to extinction' in some parts of Australia.